From Whole Roast Chicken, to warm Country Apple Pie, all my recipes can be found HERE. This is my first successful biscuit ever. AND I nailed it. Woo hoo! Thanks for sharing this. ok i made theses tonight and i only got 12 biscuits when i cut them out in stead of 14, guess pratice makes perfect , in the oven now, bakeing and riseing while there bakeing easiest recipie i found so far , and one i will make more often. 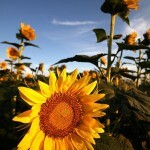 I am so glad to have fund your blog! 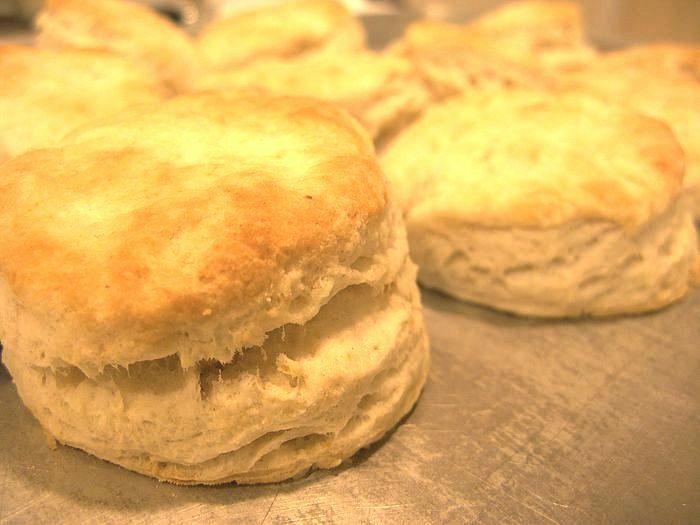 These biscuits will go great with tonight’s beef stew. My husband and I recently moved to southeast Asia and my kitchen has been turned upside down. I thought I knew how to cook from scratch, but over here, it’s nothing but scratch which leaves me scratching my head wondering what to cook tonight that’s not the same as last night. Also, the grocery stores sell only Islamic Halal over here which means lots of chicken, stew beef and ground beef (no pork allowed and any other beef cut will break the bank). 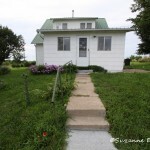 Anyhow, I’m looking forward to finding a few great recipes to try here! Thanks so much! Thank you, and You’re very welcome Tiffany! I can see the challenge you’re facing there re the cooking. But I’m sure you’ll soon learn all new ways of cooking and will become an expert in Asian cuisine! these biscuits are awesome! 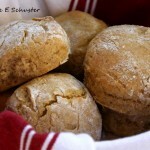 easy to make and taste terrific! thanks for sharing the recipe. You’re quite welcome! Thanks Marty. Made the biscuits this AM. Best I have ever made and eaten!! So easy! 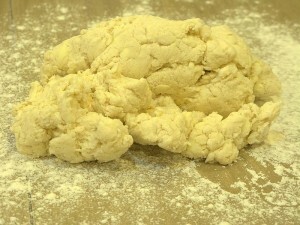 I put the prepared biscuit dough in the refrigerator and then preheated the oven. Recommend highly!!! 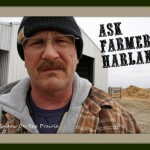 For those of us that don’t live on a farm, will margarine work? Not sure. I’ve never tried the recipe with margarine. If you decide to go for it, let us know how it turns out. Using margarine will make them less crisp/flaky. I would go to the store and buy some butter! PERFECT! I made a half batch. I kept the ratio of ingredients. I put them in the fridge for 10 minutes and I let them bake for 15 minutes. Two things: 1. I wasn’t sure if the Milk was 1/4 or 3/4’s of a cup (it wasn’t too clear in the recipe) but I found out, for the full recipe, it’s 3/4’s of a cup. 2. 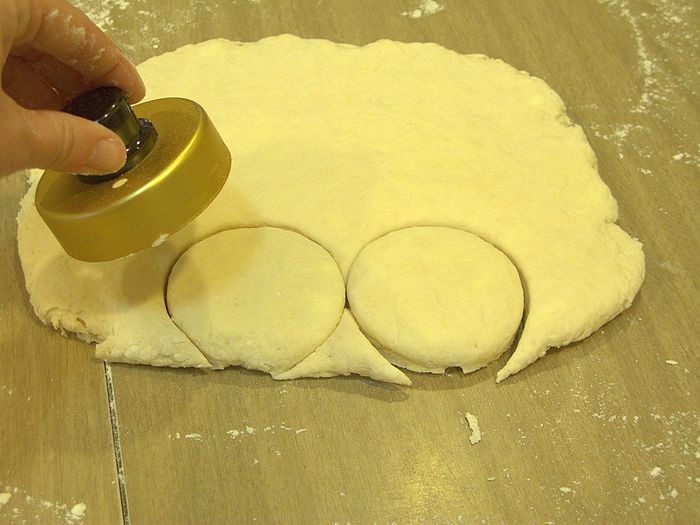 The number of biscuits you get depends on the size of the biscuit cutter. As I mentioned in the beginning…PERFECT! Yay! Glad you’re enjoying the recipe! Never tried it. Let us know how it turned out for you. one time, I put the cut biscuits in the fridge for the ten minutes required but forgot to heat up the oven, so I left them in the fridge till the the oven reached the desired temperature… about 15 minutes more. They came out just fine. The only problem I can think you might have is the biscuits might dry out. Maybe covering them with plastic wrap might work. Try it. What’ll you loose? Super good! and good the next day! Thanks!! WOW!!! These are the best biscuits ever. I will NEVER buy store bought biscuits again. 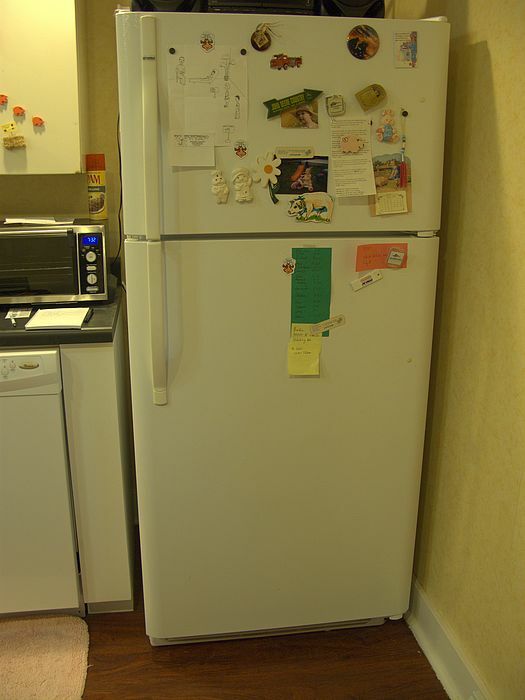 Sooooooo glad I found this recipe, and the refrigerator “trick” works like a charm. Thank you biscuit guru!!! Doll you sure do know how to make them biscuits. I lost my grandma’s recipe years ago and nothing I buy now tastes any good and I can PROMISE you that nobody else’s recipes or tips online about biscuits hold true to their claims at least that I have tried, so I was about to give up. I figured I’d try it one last time so I googled flakey high rise biscuits and found yours about the 4th down from the top. You and your husband look very happy together and my Lord, no WONDER that guy is happy! He’s found and married the only woman on the internet that I have ever heard of that actually KNOWS how to make delicious perfect biscuits the way they SHOULD look and taste !!! Without a doubt the best biscuits ever. 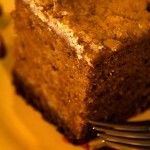 I lost the recipe and spent about 20 minutes looking for it as I knew nothing else compares. 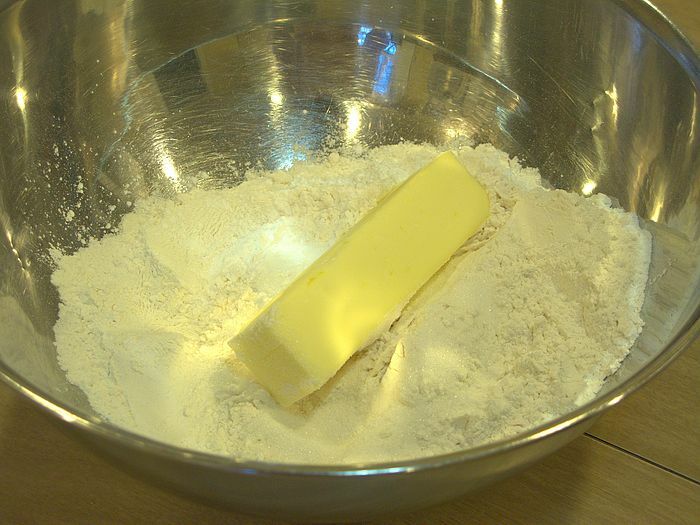 just wondering, a stuck of butter is 1/2 cup. This seems like a lot, as the other recipe I have used 1/4 cup of shortening. Sounds like a lot, but it’s not. 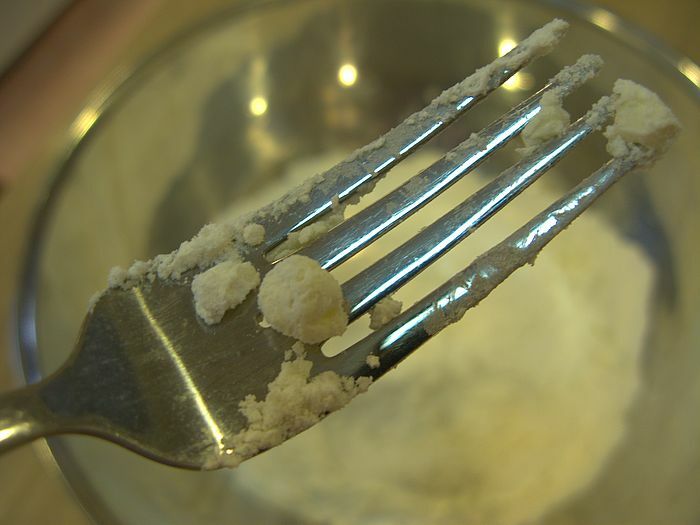 Shortening is 100% fat, while butter is 80% fat, and the rest milk solids and water. 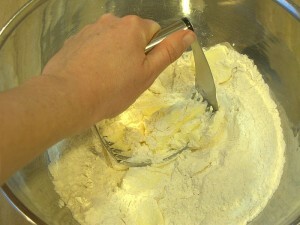 Biscuits made with butter are heavier than shortening biscuits, but butter adds flavor, while shortening does not. Shortening also contains trans fats. Before putting in oven I brush evap or reg milk over them, prevents drying. I just found your recipe for flaky, buttery biscuits and am eager to try making them to accompany my Thanksgiving dinner. They look delicious! I found mine to taste floury, am i doing something wrong? Was it all purpose flour? Were the right amounts of the ingredients used? Hard to know why when something goes wrong. I’ve been there. I sometimes measure wrong. yes it was all purpose flour, i believe i measured everything correctly, i will have to try them again i guess. 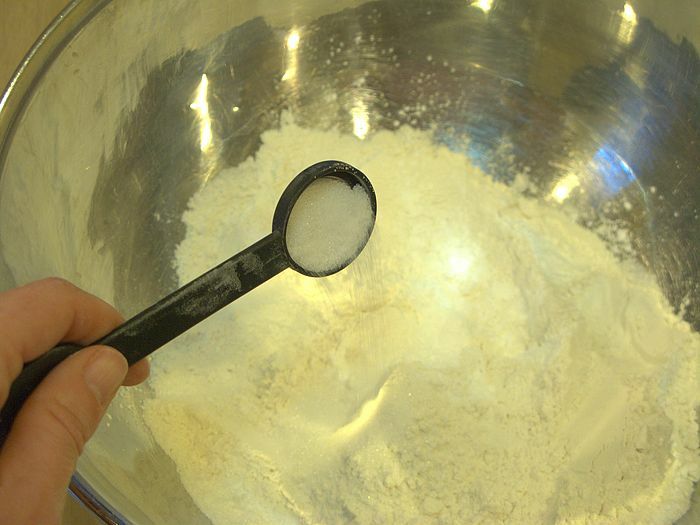 When you measure, do you use a spoon (or similar) to fill your measuring cup or do you lower the cup into the flour bin and scrape it through? 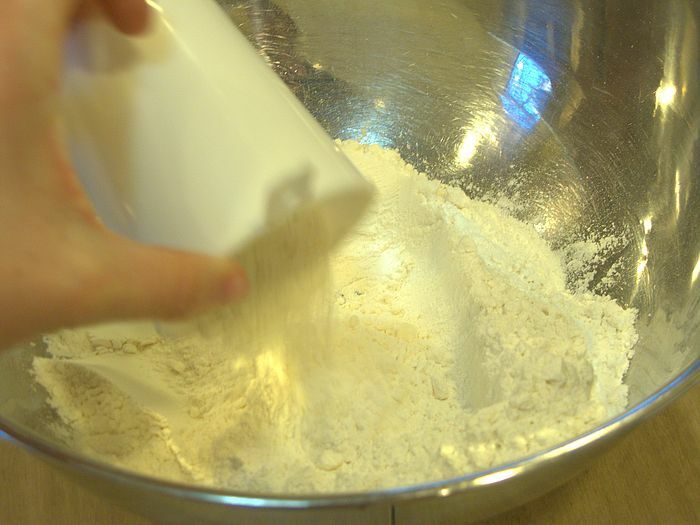 The latter method packs the flour in and you wind up using more. Some things don’t matter too much but with baking it can really change the outcome. Just a thought. I scoop the flour out of the container with the measuring cup. Made your biscuit today and ate two already – had to stop myself from eating more. Your recipe and instruction are perfection. I followed you recipe to a tee for which I am proud. I have been cooking for many years and tend to look at a recipe and change at will because I am confident in my cooking knowledge and skills. 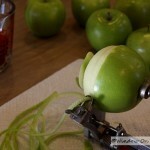 But for some reason I decided to follow the ingredients and instructions as written – glad I did. 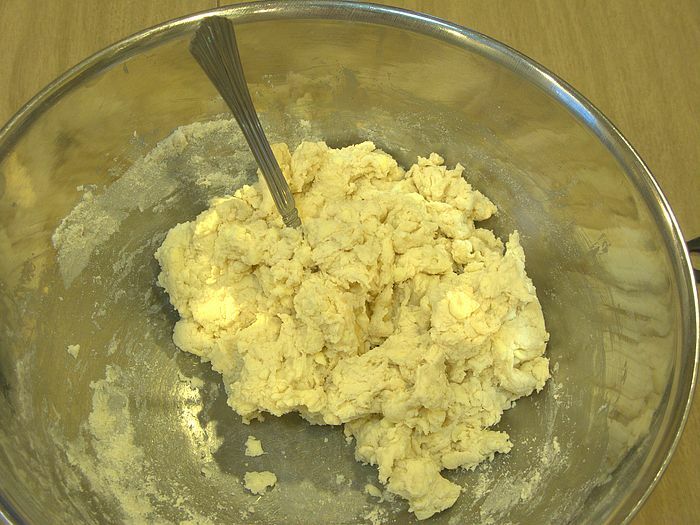 I have now tried the recipe twice and still have not gotten good results.The dough is very gooey after adding the milk and I got to keep adding flour to work with it while kneading.Is it suppose to be gooey? It can be sticky. Just add a little flour at a time while you handle it if it sticks to you or your work surface. Did not have butter, and used a stick of margarine instead but the biscuits still turned out as pretty as your pictures!! And tasted as good or better than anything you’d get at a fancy breakfast diner! They were a BIG hit with the family! Topped them with some homemade sausage gravy. Nothing better! Just so you know the science, in basic terms, for the refrigeration making a difference….butter is partially water. Cold water exposed to high heat makes the water kind of explode quickly (think about dripping water into a very hot skillet. 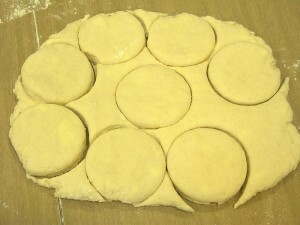 This makes those airy pockets in the biscuits and creates flakiness. Heating my oven now with those chilling biscuits now. Thank you for the recipe – just what I was looking for!! Hi, can you keep these in the fridge overnight? Gonna try these with Christmas turkey dinner hope I don’t foul up!! Never in my long life have I made biscuits before. Tried these Christmas Eve. Was very nervous trying them, but the recipe is simple and the steps all organized and easy to follow. I have to say, the biscuits turned out so well and were so incredibly delicious that it was hard not to eat them all before anyone else could try them. Wish you could see the photo of the biscuit snowmen I made with the leftover dough for my grandchildren. 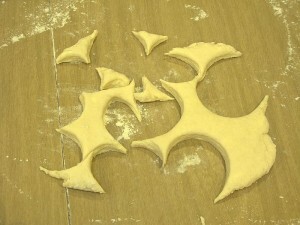 A regular biscuit on the bottom, a smaller one with raised arms (cut this out with a knife) for the middle, and an even smaller one for the head. Put sprinkles on for eyes and nose, and for buttons (or use raisins) and they’re so cute. And delicious. Thank you for the recipe and for making it easy to succeed! Yay!! The snowman idea is great. Must have been so cute. Tried these today hoping to be like my grandmothers,live in Costa Rica now and can not buy them here. They came out very flat,did not rise like your picture shows,could it be my high altitude? 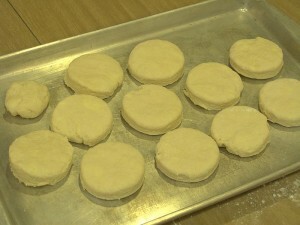 I need to make some good full rising biscuits,I followed the recipe exactly. My grandmother always used buttermilk though. How high is your altitude? We are about a mile above sea level. 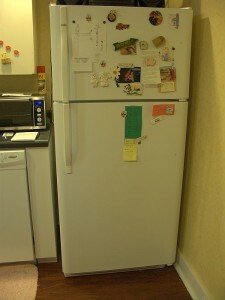 Wonder I’d I should cook longer at lower hear and/or leave in the refrig a bit longer. Thank you for this straight forward recipe. 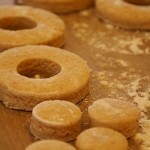 I have been making crumbly biscuits for so long and today I made this recipe. They turned out flaky and perfect! I have a simple method for incorporating the butter into the flour evenly…a cheese grater! 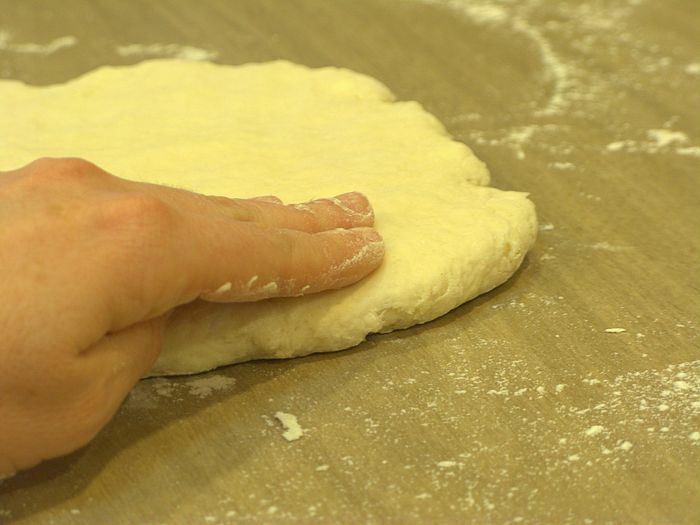 It works like magic for pastry too. I tried it and well it didnt rise. I followed to the T and im not sure what happened. I made it twice and both times it didn’t rise. Any suggestions. 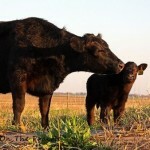 I sure am lookin forward to the day I can make it good. 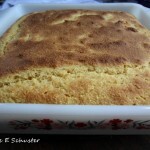 My grandmother used buttermilk. How would the recipe be altered please? 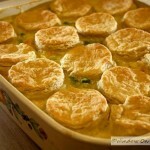 She always had a little butter melted in pie tins, dip and flip the biscuits then 1/2 bake and freeze. 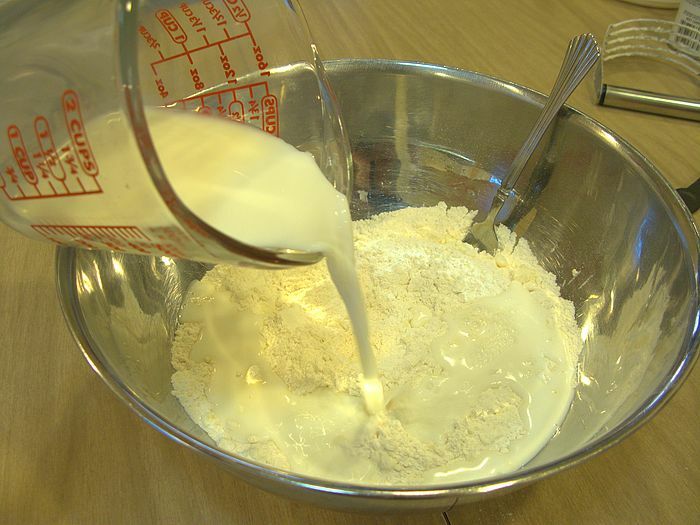 If you substitute buttermilk for the milk, you’ll also have to reduce the baking powder to 1 1/2 teaspoons and add 1/2 teaspoon of baking soda. I was able to make the biscuits pretty easy. I overcooked them I think. They were a bit dry but I don’t have a problem with dry. 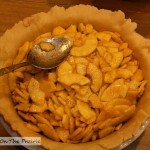 I also made a pumpkin pie and made my own pie crust from your recipe. 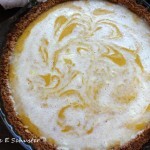 I did use canned pumpkin but the crust was all me! Tastes great! So Glad you’re enjoying these, Thanks Sara! What about baking them in a cast iron skillet? Does the oven temp or cooking time change? My aunt baked them this way when I was a kid and they always came out great! Couldn’t say as I’ve never used a cast iron skillet. Sorry. You might consult with Google on that one. You know, no one else really talks about chilling them before baking. 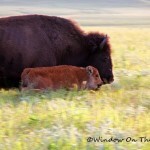 I picked yours out of the bunch of online pics b/c they look so fluffy & perfect. Can’t wait to taste them. Thanks! made these last night and loved them. thanks for an excellent recipe. I will definitely be making these again, the whole family loved them. Tasted good, but came out flat. Let them rest in the fridge for 10 min before baking. Will try again, making a bit thicket, but I don’t think this was the whole issue. Thanks for the easy recipe! Have you ever tried this recipe using buttermilk and baking soda? I’m about to try that this morning. Nope. Let us know how they turned out. 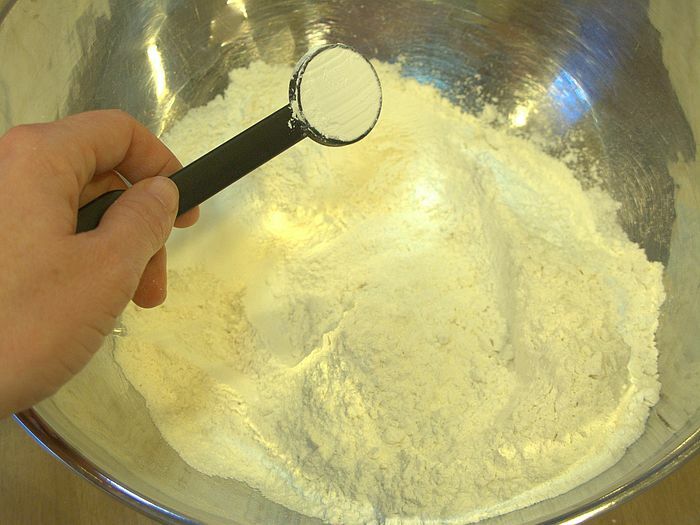 I am happy to report that the biscuits made with this recipe, except with the addition of 1 tsp baking soda, and the substitution of low fat buttermilk for milk turned out very well. The best high-rise biscuit I have made to date. This will be my go to recipe going forward. For those who get flat biscuits, I might suggest that you are mixing / kneading too much. 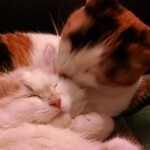 I think Suzanne has nailed the correct kneading process. 5-6 fold and turns is the key, using only your hands. And be gentle with the dough, don’t vigorously squash it flat or knead it too hard. 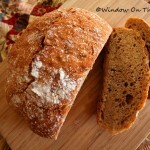 I never thought this recipe is could be easy to follow and very simple! 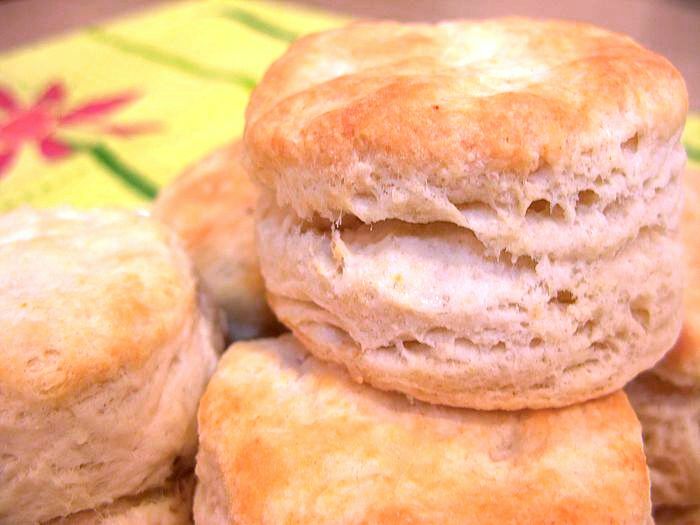 The biscuits look delicious. I’m gonna make these. I can’t wait to taste them. Thanks. I followed the recipe to a T and they still came out like hockey pucks. The bottoms cooked faster than the tops so the burned! Iam very very upset with this. Im not sure what went wrong! 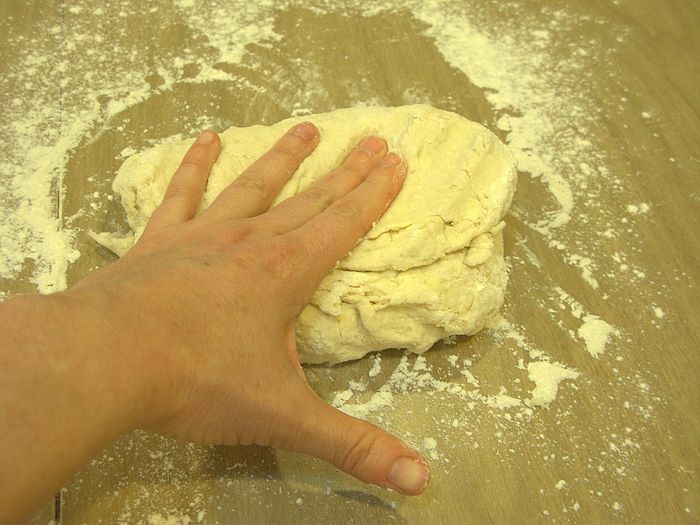 Could be a number of things: too much kneading, oven rack too low, oven temp not accurate. If the bottoms are burning, and the tops not getting done, the rack is too low. Get a thermometer for your oven – only a few bucks, but well worth it. I’ve yet to run across an oven that has an accurate temp. Good luck! I just wanted to let you know that these have become a family favorite. I always have to make extra for ham and cheese melts (divine!). 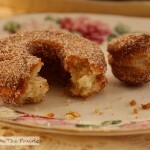 I am trying them today with freshly milled flour and raw milk. I’m hoping they turn out as great as normal since I did not make any adjustments. Thanks for a great recipe! Great recipe! Like your photos also. Butter, I learned about margarine years ago and NEVER put that stuff in my mouth, read about it on the Internet, it is not just oils but chemicals. I made these biscuits for my husband and our very picky 19 month old son. 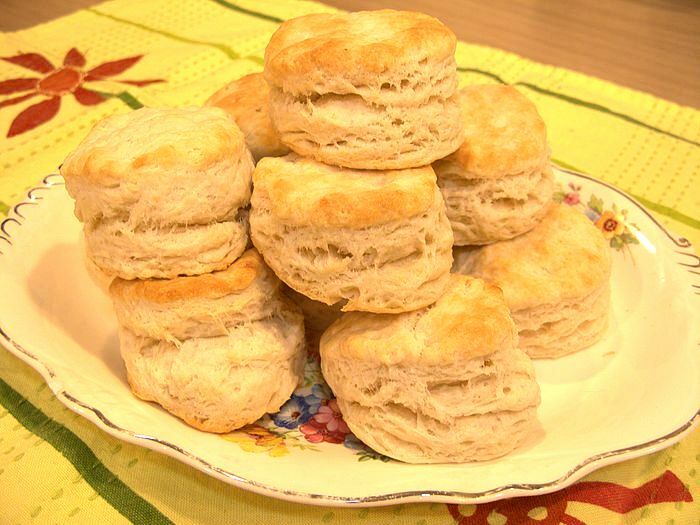 I must say that these are the easiest and best homemade biscuits. 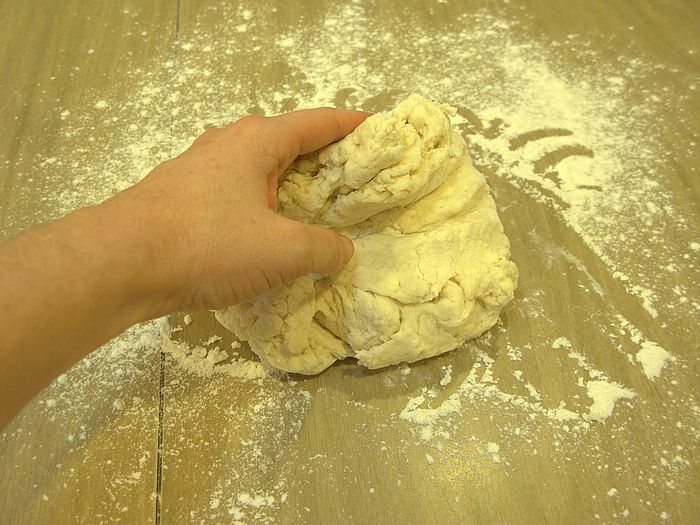 I am pretty new to making homemade biscuits, and I have tried different ones, but I am surely going to stick with this recipe, for sure! 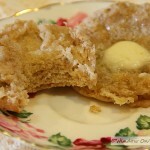 I encourage people to try with some homemade cinnamon honey butter! DELICIOUS!!! !..thanks for the recipe!! Thank you for this amazing recipe! 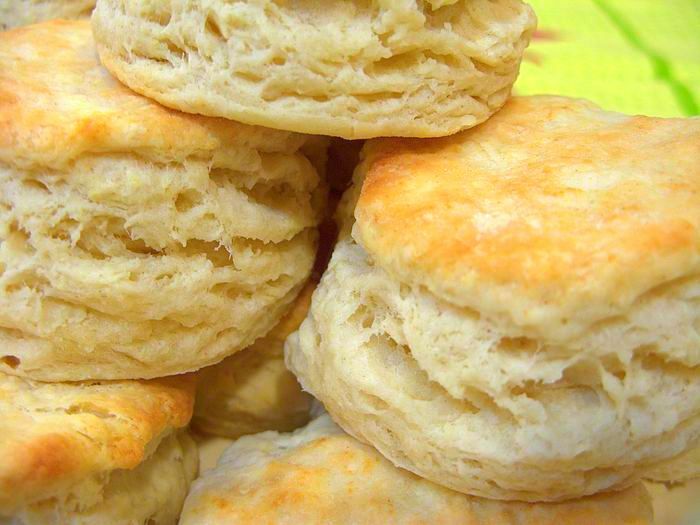 Without a doubt, these are the best “from scratch” biscuits ever! It took me less than 10 minutes to prepare (and then, of course, the 10-minute refrigerator “secret”). 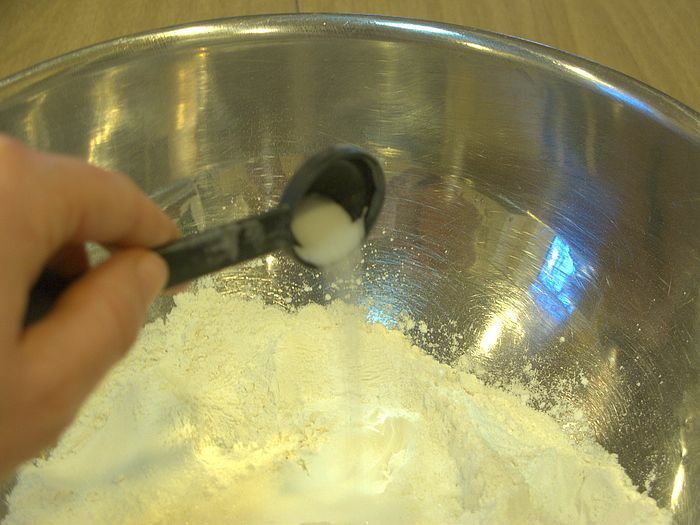 Your step-by-step instructions WITH the helpful pictures (never really knew before how the dough was supposed to look after mixing in the milk) created incredibly flaky, light-as-air, and–yes–“sky high” biscuits we’ve ever had!! What an improvement over what I’ve made in the past! I’m throwing out all my other biscuit recipes! 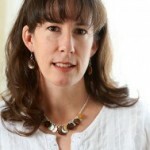 Suzanne, does the type of milk make a big difference to this recipe–i.e., half-and-half, whole milk, 2%, nonfat? Thanks! I usually use whole milk, but I’ve used 2% and that worked fine too. 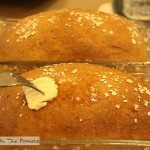 I used Crisco and they came out wonderfully thanks for the recipe next time I will be using the butter.